For the hard of hearing, everyday things like not being able to hear an alarm clock can cause serious problems, and it can be incredibly hard to hear what is happening around the home from the bedroom. A combined digital alarm clock and receiver for the Lisa alert system, the Lisa Alert System RX Digital Alarm Clock Receiver wakes you up and makes you aware of the goings-on in your home. Each event alert has its own pattern, enabling you to instantly tell what requires your attention. 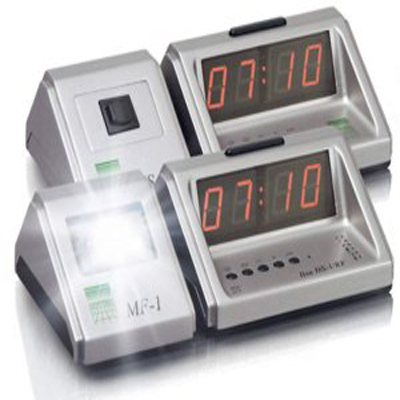 As well as providing a great alert system for hearing impaired individuals, the digital alarm clock also works fantastically well as a bedside clock. With an adjustable clock which can be set to 12 or 24 hours and a five minute snooze, you can get the alarm experience you want. The Lisa alert system is fully extendable, enabling you to add different Lisa transmitters to create the perfect system for your needs. The receiver also features a 3.5mm socket for additional alerts. Please click here to see the full Lisa range. Please note: this listing is for the Lisa receiver only and does not include any of the necessary transmitters. Additionally, this product does not include any of the alert modules, which are shown in the image for illustrative purposes only.